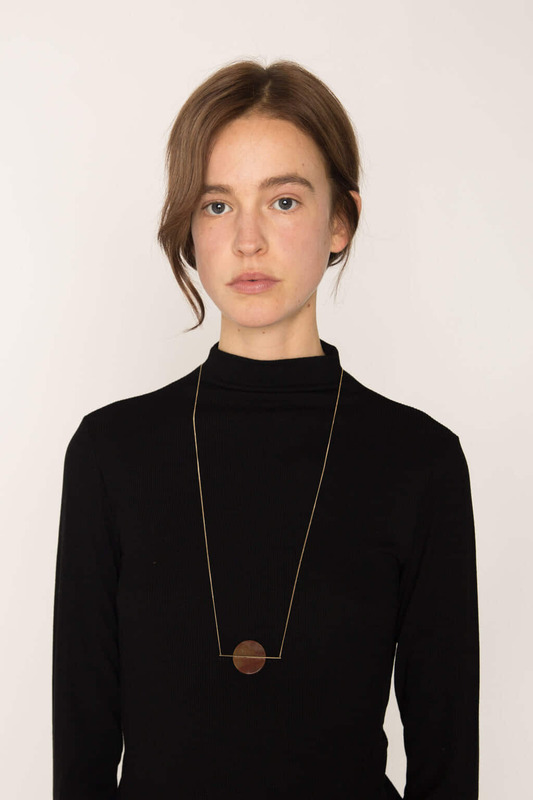 This chic necklace features a minimalist geometric design that adds an elegant statement to any outfit. Attached to the delicate gold chain is a thin gold bar that cuts through a round naturally textured stone. Highlight the shape of the necklace by pairing it with a crisp white shirt.